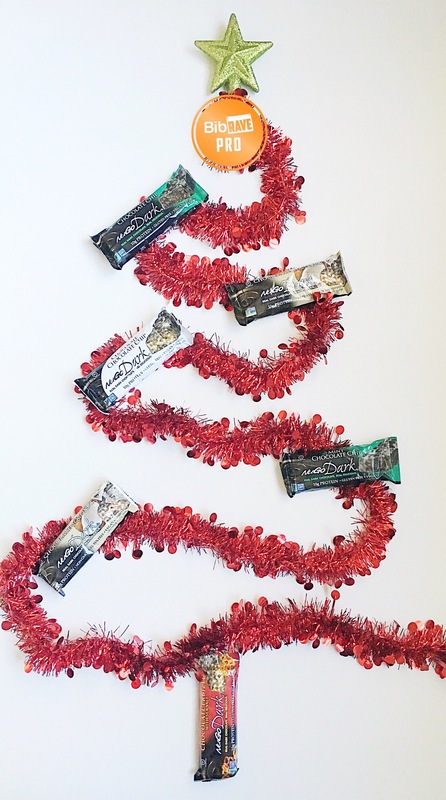 The #1 Reason Why I Love Health Warrior Bars! 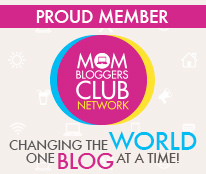 **Disclaimer: I received two boxes of Health Warrior Bars to review as part of being a BibRave Pro. 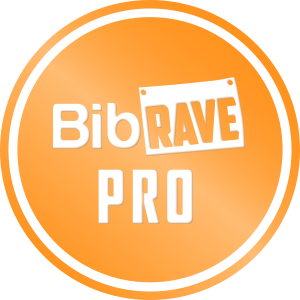 Learn more about becoming a BibRave Pro (ambassador), and check out BibRave.com to review find and write race reviews!! Well it’s a brand new year guys! Which means everyone is working on self-improvement, new goals, and lifestyle changes. One of my 2018 goals is to improve my eating habits. I love eating healthy foods, but I also probably indulge more than I should…and I’m definitely guilty of stealing french-fries from my kids. 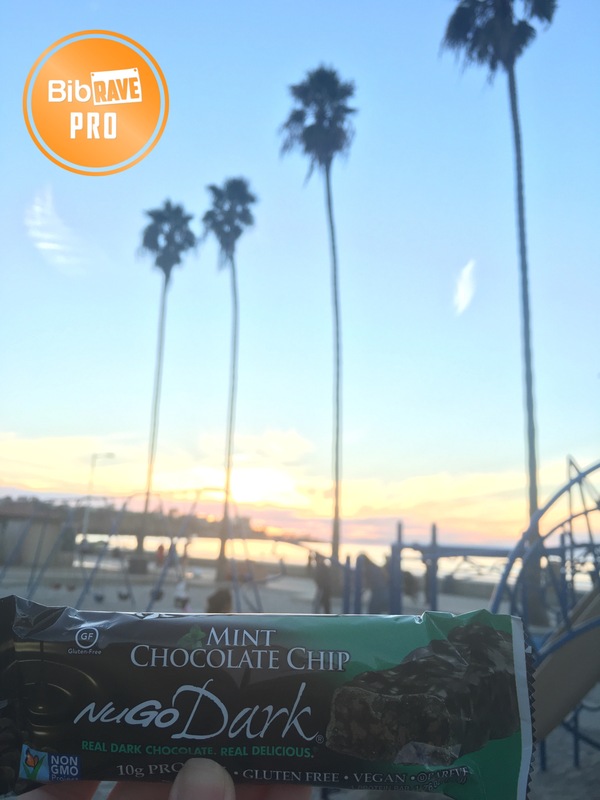 So I was pretty stoked (yet a bit skeptical) when I had the opportunity to try out the Health Warrior Chia Bars. I was skeptical because usually healthy snack bars are either a) not really all that healthy (have too much sugar/carbs) or b) taste like an old shoe. The main ingredient in the Health Warrior Chia Bars is…well, you guessed it – Chia seeds! Seems like these are leaning towards the “old shoe” taste, huh? So I decided to start out with the Chocolate Peanut Butter bars first because I basically love PB/Choco flavored anything. I was surprised to see that these little guys are actually smaller than many other typical health bars. But I was even more surprised at how great they tasted! They are pretty chewy, but not too hard and definitely had a great natural-tasting flavor. I had them for a mid-morning snack a few times and then decided to take them out on a run! At first I was a little disappointed with the smallness, but realized that they are the perfect size for my purse and serve as a great pick-me-up during that late afternoon crash. Then I went on to try the Vanilla Almond bars. I didn’t care for this flavor at first, mostly because I don’t really care for anything vanilla flavored in general. But after the second or third bar, I developed a taste for this flavor and really began to enjoy it! My kids really liked this flavor, too! No old shoe taste here! Overall, I really loved these bars! They also come in some other great flavors like Coconut and Apple Cinnamon. I definitely plan on ordering a few boxes! Pricing: You can score a box of 15 for $15.99, but you can save some bucks if you subscribe. And free shipping on orders overs $35! Also, the marathon coloring book is on sale at the moment for $5.99! So what’s the #1 reason WHY I love these little fellas???? Answer: They are super filling!!! I couldn’t believe the mighty punch these little bars packed. Some days I just had one of these for breakfast and it kept me going through a 3 mile run and into lunch. I think they are great to have for traveling, hiking, and running! Not only did they fill me up, I didn’t get that heavy feeling or sugar crash feeling that some bars often give me. What do you think? Have you tried these? What’s your fave flavor?! Hats Off to BOCO Gear! If you scroll through most of my running photos, you will find that I am almost always wearing a hat. Why is that? Well a few reasons. 1. I have a ton of hair. 2. I don’t usually have a lot of time to properly style said hair (thanks kids). 3. Hats offer protection from the daily elements (i.e. sun, wind, rain). 4. They are stylish! So you can imagine my excitement when I had the chance to test out a new run hat from BOCO Gear! If you’ve never heard of BOCO Gear, they are a company based out of BOulder, COlorado (clever, huh? )…and they create performance hats, headbands, and other accessories for athletes. You can browse their online shop or they will even create custom orders for your organization, team or event! They created custom hats for BibRave and I love the look of this product! Since moving to Japan, I’ve been faced with some “challenging” weather conditions that I haven’t been used to. San Diego spoiled me with it’s annual perfect weather, so I had to quickly adjust to various temperatures, humidity, rain, and even some crazy wind. When I first received my BOCO Run Hat, it was typhoon season. I didn’t even know that was a thing until I moved here. BTW – the height of typhoon season is like September/October so beware if you plan to travel to Japan during those times. 😉 Anywho, I didn’t want to let any little typhoon weather get me down so I thought, “What the heck – I’ll run outside anyway.” Well the wind was no joke. Running against the wind will really test your strength and it’s also annoying. But I survived, and more importantly – My BOCO Run Hat didn’t budge! I was shocked! In fact, I kinda forgot I was wearing it at one point because it’s so lightweight! The good news about typhoons is they don’t last long. After about 8 hours, it was all over and the skies cleared. In fact, the next day was absolutely beautiful and I had to run again so I could see Mount Fuji in all of her glory! Not only did I like how this hat protected against the wind and rain, I also liked knowing that my face was being shielded from the sun. But for real – wear your sunscreen, kids! Overall, I think this is a great hat that all runners should own! I love how light it feels and the way it stays put without squeezing my head. The inside features a soft sweatband to wick away the sweat and it’s totally adjustable with a snap buckle (Velcro pulls my hair so I especially appreciate this feature). It also folds up really easily so you can stick it in your pocket or bag when you’re travelling. And throw it in the wash when it needs to refresh! Super easy! I was really impressed at how much this hat could withstand! It even stayed put during play time with the kids and speed work on the track! If you are looking for a new running hat, then BOCO Gear is the way to go! Or if you are an organization or have a team looking for a custom order of hats, BOCO will hook it up! Already own some BOCO Gear? Snap a pic and tag #BOCOGEAR on Instagram for your chance to be seen on their website! My latest BibRave Pro opportunity was to review Luvo Meals. These are healthy, frozen meals that cook right in their own little steam pouches! I was really excited to try these because I’m not the greatest cook and I don’t have a lot of patience in the kitchen. But I do like to eat healthy and since I am training for the upcoming Carlsbad Half Marathon, these came at a perfect time! Frozen meals are usually hit or miss so I typically stick to Amy’s or Lean Cuisine, but those can get pretty bland and boring. As soon as I opened up the box I was delighted to see all of the exciting and unique flavors! I liked that there’s no plastic trays or wrap to mess with. Everything steams right in the bag! Just pull out of the box, put on a plate and stick in the microwave (or the oven) and in 5-6 minutes you have yourself a quick and healthy meal! The average calorie count ranges from about 250-350 and each meal is loaded with plenty of protein and veggies. So were these little gems too good to be true? How did they really taste?! After trying 10 of the meals, I’ll give you my top picks and least faves. My favorite picks were the spinach ricotta ravioli and the orange mango chicken. These were the most flavorful and the ones that most closely resembled the pictures on the boxes. There were some other good flavors, but the appearance wasn’t as pleasing as these two. Since it’s the fall season, I really wanted to love the turkey meatloaf mashed potatoes…but I just wasn’t feeling it and I felt a little disappointed. The vegetable bibimbap looked okay, but was just a bit too spicy for me. To be fair, it could also be an acquired taste type deal…I just wasn’t in love. Overall, I was really pleased with this product! I love finding quick ways to incorporate more veggies and protein into my meals without having to do a lot of prep work or spending a ton of time in the kitchen. The only drawback is that they aren’t in every grocery store just yet. The closest location to me is about 30 minutes away. Some flavors are available online…but a pack of 8 costs about an average of $85-$90 (per Amazon) due to the shipping process. Mine came shipped in a nice little box with dry ice so I could see how this could be costly. I do have a love for Luvo and I would definitely purchase some of these flavors in the future if they come to some stores closer to me. There is a product request form that you can fill out which is nice since it seems that these meals are a little bit harder to obtain than other brands. What do you think? Have you tried these “Steamazing” meals?! ***Note: I was given this product free of charge in exchange for an honest and unbiased review as part of the awesome BibRave Ambassador program. All opinions are my own. 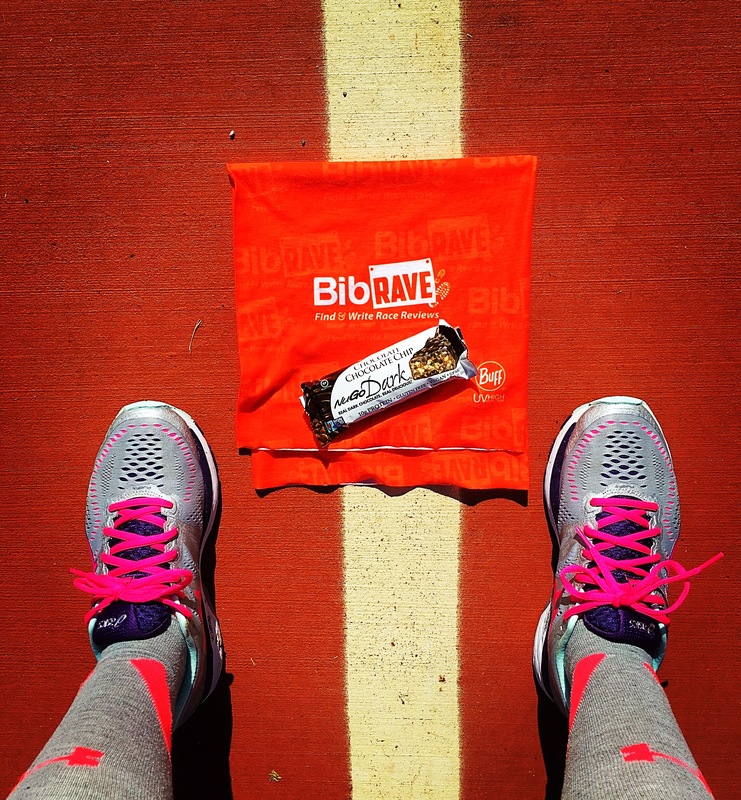 And be sure to checkout #BibChat every Tuesday at 6pm PST on Twitter! Can’t wait to bring you the next product review! !